Fluidline: Ultra-smooth, Fluidline’s gel formula provides the precision of a liquid liner with a silkier, softer finish. 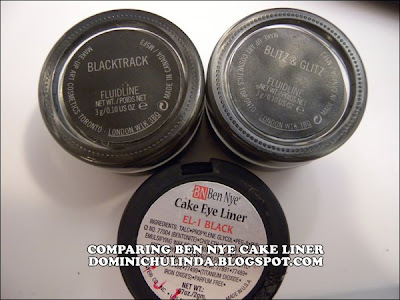 Cake Liner: Specially formulated to be used wet or dry for a soft smoky look. Blacktrack - Solid flat black. 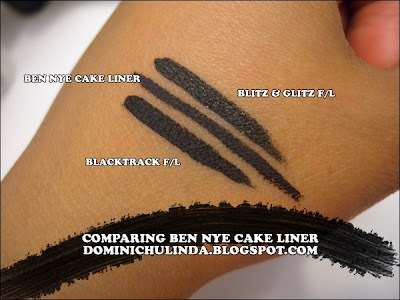 The cake eyeliner goes on so effortlessly with out any room for oops! And get this … it last all day with out any smudge.